If you're working with a homeowner who needs to reroof and they have old acrylic bubble skylights, make sure you educate them on the innovations that make today's skylights better than their decades-old predecessors. In this video, learn how skylight installer Mike Townsend combats preconceptions about skylights from homeowners who have only ever known acrylic bubble models. 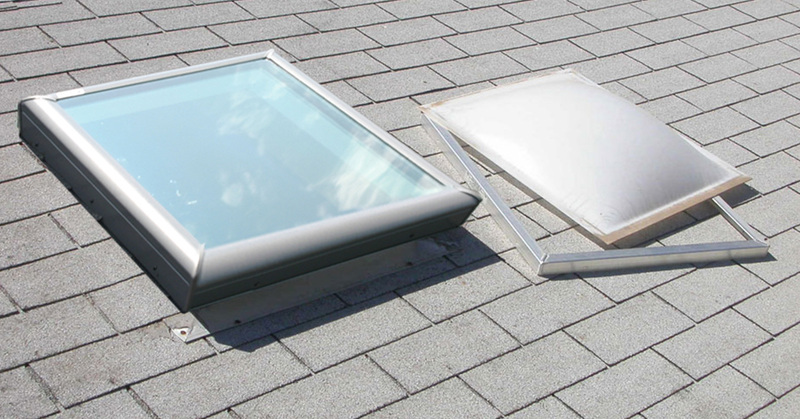 Townsend recommends the VELUX Venting Solar Skylight (available in deck-mounted VSS or curb-mounted VCS), also called the VELUX No Leak Solar Powered “Fresh Air” Skylight, because it offers insulated glass for energy efficiency that's vastly better than old acrylic bubble skylights. Remote control — They open via a touch-screen remote control to bring in fresh air and promote home ventilation. Program the remote to open and close the skylights and blinds daily. Blinds — They can have solar blinds added at the factory (for stock colors) that are also remote controlled. Tax credit — This skylight qualifies for a 30 percent federal tax credit on product and installation through Dec. 31, 2019. That's savings for your customers. As Townsend notes in the video, the VSS/VCS is installed the same as a standard fixed skylight, so there's no additional work for you on the roof, just a happier customer and more profit. Whether they choose the VSS or EPM model, your customers will feel confident in having the latest No Leak skylight technology on their roof. And you'll leave with peace of mind that your roofing job is protected with a product that also boosted your bottom line.